Hans-Heinrich Koenig was born on 23 July 1920 at Halle in Saale. Koenig was posted to ZG 76 in spring 1940. Leutnant Koenig was assigned to 5./ZG 76. He recorded his first victory on 15 October 1941 when he shot down a RAF Blenheim twin-engined bomber over the North Sea. On 1 November 1941, 5./ZG 76 was redesignated 8./NJG 3 undertaking night interception duties. During June 1942, Koenig was to record two night victories. However, on the night of 25/26 June, Koenig, in combat with a RAF bomber, was wounded resulting in the loss of an eye. Following his recovery from wounds, Koenig transferred to Jagdwaffe.  Following conversion training he was posted to Jagdstaffel Helgoland. In the summer of 1943, Koenig shot down four USAAF four-engined bombers. On 10 October 1943, Koenig was appointed Staffelkapitän of 3./JG 11. He continued his success against the four-engined bombers recording his 20th victory on 15 April 1944, which included 15 viermots. His best day came on 29 April, when he shot down four four-engined bombers to record his 22nd through 25th victories. 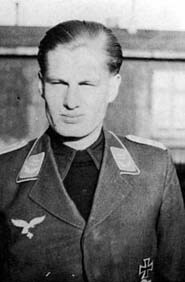 In May 1944, Koenig was appointed Gruppenkommandeur of I./JG 11. On 24 May 1944, Koenig attacked a four-engined bomber over Kaltenkirchen. His Fw 190 A-7 (W.Nr. 430 489) “<<+” was hit by return fire from the bomber’s gunners and exploded. The explosion ripped the left wing off the bomber and both aircraft plunged to the ground. Koenig was posthumously awarded the Ritterkreuz and promoted to the rank of Hauptmann on 19 August. Hans-Heinrich Koenig was credited with 28 victories. All his victories were recorded over the Western front and include 20 four-engined bombers.